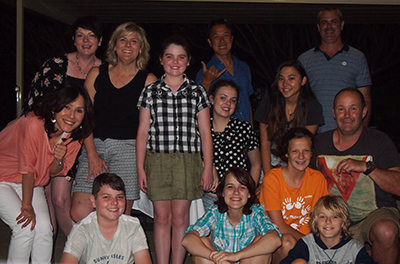 The first ever Nigawa students to participate in our Australian exchange program has returned to Japan after a successful year at St. Mary’s College Ipswich. 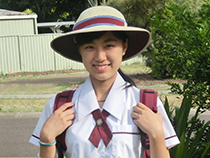 Rena took on the many challenges that international students face with a positive attitude and great spirit which enabled her to improve her English and understanding of Australian culture. As our first “ambassador”, she has paved the way for future exchanges both to and from Australia, and we are sure that she will make the most of this experience as she continues her school life here at Nigawa. Thank you to St. Mary’s College, the two host families and all of those who supported Rena during her time in Australia. 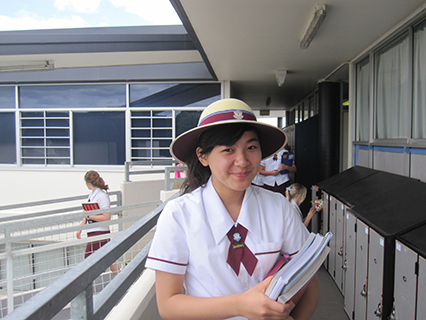 Our first ever student to study abroad in Australia began her one-year exchange at the end of January, the start of the school year in Australia. After spending the first few days with her host family, Rena attended her first day of school at St. Mary’s College, in full uniform, where she met her new teachers and friends and underwent an orientation in order to familiarize herself with the new surroundings. She also gave a wonderful speech in English at the opening assembly in front of the entire school! Being the first Nigawa representatitive at our new sister school is a big responsibility, but we trust she will do well in her new environment and wish her all the best for the year ahead. 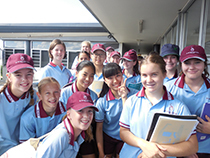 The noticeboard on the 2nd floor in the high school will have regular updates from Rena along with photos and information about the exchange program with St. Mary’s College.